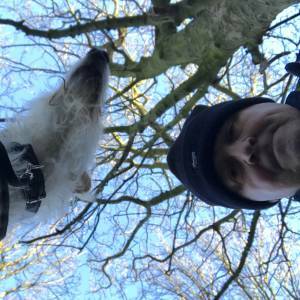 Took the dogs out in shifts again this morning - about 40 minutes for each walk - so I had almost 8000 steps before coffee time! It was sunny and dry, but still quite chilly in the wind. 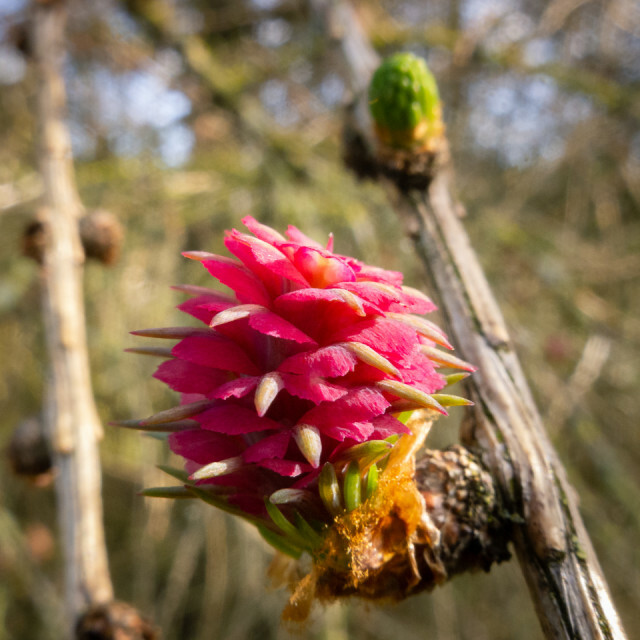 Walking past a larch tree, where I have blipped a cone before, I noticed it had lots of these beautiful little red flowers growing. I managed to hold the branch still in the wind to get a clear shot. These are the female flowers and will go on to form the cones. Dogs flat out after their walks - I wasn’t far from it! Spent some time compiling some memories for a eulogy for an uncle of mine who died last week. Notes sent on to his daughter. I will be travelling down to Kent for the funeral next week - it’s going to be a hard time - he and his wife were ‘substitute parents’ to me whilst my mum and dad were posted overseas and I was at boarding school in this country.